Brushed finish with real aircraft rivets. 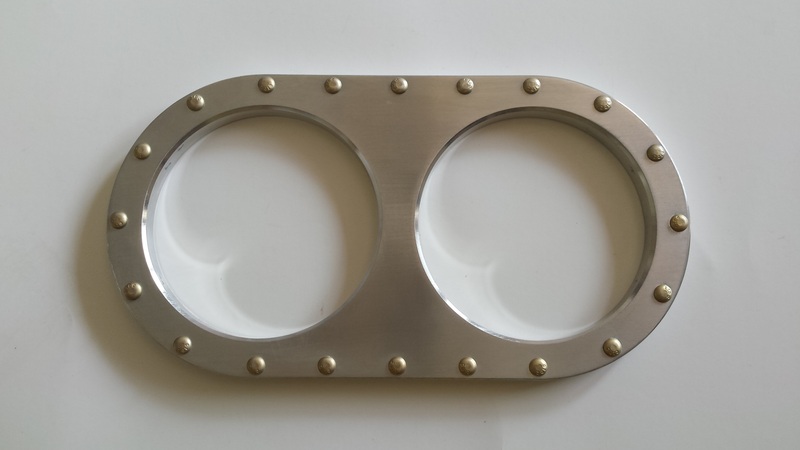 Includes four stainless steel fasteners for mounting panel. 8 1/2 long x 4 1/2 wide x 3/8 thick. Great for a speedometer and quad gauge. 3 3/8" center holes and 2 1/16" end holes. 13 1/2 long x 4 7/16 wide x 3/8 thick. 18 3/4 long x 4 7/16 wide x 3/8 thick.